Apologies to ABBA fans about the cheesy introduction. But, mamma mia we need to talk about cryptocurrencies! Indeed, the very notion of a “bank” itself has changed: Deutsche Bank in Berlin is now into Kaffee und Kuchen for the hip and happening people of the Hauptstadt. ImaginBank from Spain is aimed at snombies, sorry, I mean the mobile generation. And now, cryptocurrency localization is upon us, and that requires linguistic domain expertise too. Ironically, there is even a cryptocurrency called … Iota (designed for use with the Internet of Things [IOT]). I’ve changed career in the last few months, now offering digital transformation consultancy to established and startup ventures seeking to design the right digital thing the right way and to be ready to go global. I’ve been diving into the cryptocurrency space and grappling with the new ideas, concepts, and a new strange language that comes with it. This is about much more than the Bitcoin and blockchain buzzwords du jour that people throw about without actually having an iota what these mean or indeed possible uses (blockchain, for example is behind the Chinese social media platform, ONO). If you want to explore this decentralised space further, there’s a blog series worth reading from Genson C. Glier on blockchain, Bitcoin, Ethereum, and cryptocurrency. I also recommend this podcast from Tim Ferriss that covers all you were afraid to ask about, although some of terms and concepts will make your head spin (cheat list: jump to the “Show Notes” on the podcast). 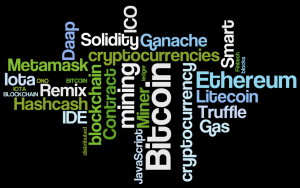 Try understanding these terms: Miner, Smart Contract, Daap, Truffle, Ganache, Hashcash, “Wet” Code, “Dry” Code, ICO, Metamask, and Gas. Providing localization of the conversation around cryptocurrencies and non-developer facing terms would be a great starting point to increase familiarity and adoption Click To Tweet. Generally, cryptocurrencies are for most adopters a form of value storage. However, cryptocurrencies are rapidly becoming a medium of value exchange, too (“digital money”). Bitcoin ATMs are appearing globally, for example. 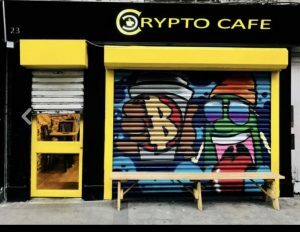 In Ireland, about 120,000 people in Ireland now own a cryptocurrency, a 300 per cent increase in the last four years. And yet, that basic usability heuristic of using plain language to communicate a concept even to experts to enable ease of use and adoption has already gone out the window. The list of Bitcoin-friendly countries contains some surprises (Estonia is number one), and includes locations where English is very often not a mother tongue (although development tools and coding platforms are in English). We cannot be dismissive of the significant regulatory and security aspects of cryptocurrencies for now. But localization challenges are worth planning for now if cryptocurrencies are to move to the mainstream beyond those Silicon Valley types and their friends. It’s likely, of course, that we will also see traditional finance, banking, Fintech, and cryptocurrencies all interact with more solidity in the future, adding to the need for more localization creativity. At times, it’s hard to accept that the localization maxim English Is Just Another Language could apply in a cryptocurrency space that seems to have disrupted the notion of the English language itself. James Joyce might be proud of this kind of word invention, and of course it’s all a matter of context. But I remain gobsmacked by some of the terms I come across. It’s clear that lack of localization is a serious barrier to cryptocurrency adoption when even someone who has worked in digital tech for three decades is struggling. 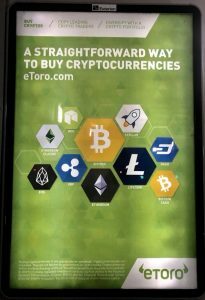 I need to learn that lingo though, as Dublin seems to be place it’s all happening for those cryptocurrency and blockchain ambitions. Ah, the irony of that word, block, when it comes to getting your head around cryptocurrencies.